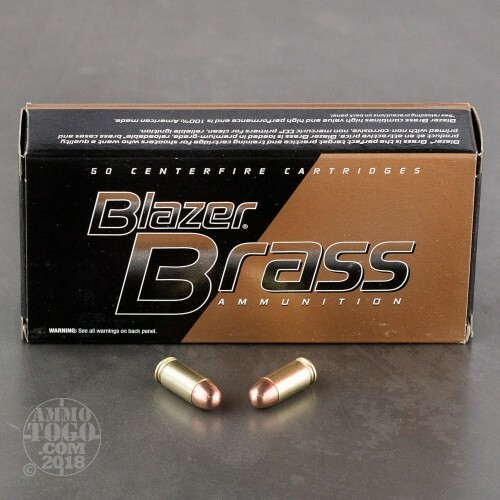 This 1000 round bulk pack of .380 ACP from Blazer Brass is perfect for fueling frequent practice sessions and IDPA BUG (Back-Up Gun) matches with your favorite pocket pistols. 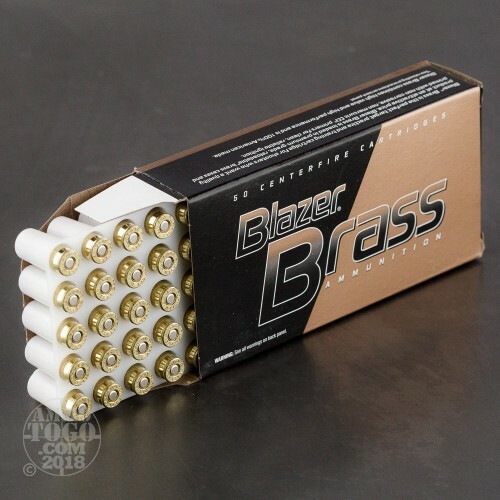 The Blazer Brass brand is owned by CCI and is constructed using high grade components like reloadable brass casings and non-corrosive Boxer primers from CCI. 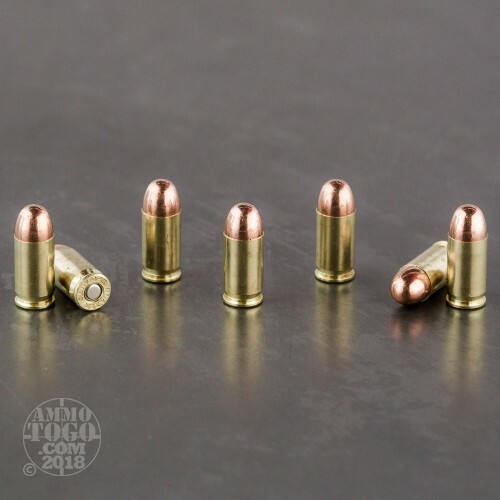 This ammunition is produced in Idaho and loved by shooters for its quality performance and reasonable price. Each cartridge is topped by a 95 grain full-metal jacket (FMJ) projectile. 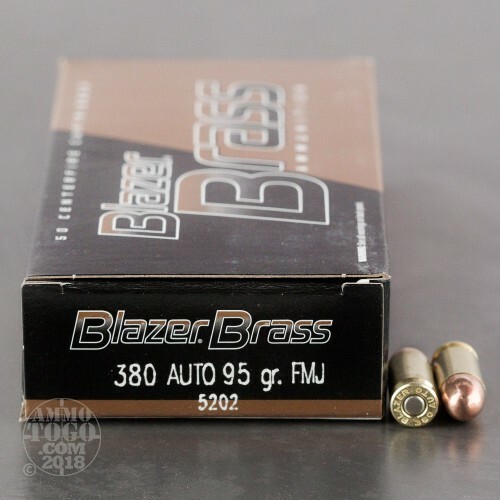 95 grains is the heavy standard for the caliber and provides recoil impulse and ballistics closest to the most popular defense rounds in .380 Auto.